Stephen Hawking, the renowned physicist who explained the theory of black holes and examined the universe, has passed on at age 76. At 21, the Briton was diagnosed with amyotrophic lateral sclerosis (ALS) and doctors said he had two more years to live — but he defied all odds to remain alive for over five decades. According to a statement released by his family, Hawking died at his Cambridge home in the early hours of Wednesday. “We are deeply saddened that our beloved father passed away today,” his children wrote. 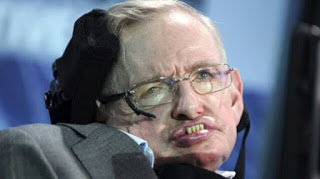 Hawking’s first major breakthrough came in 1970 when he and Roger Penrose applied the mathematics of black holes to the entire universe and showed that a singularity, a region of infinite curvature in spacetime, lay in our distant past: the point from which came the big bang. His theory that black holes radiate heat and pop out of existence was one of the most debated topics because it contradicted one of the basic laws of quantum physics. His autobiography, which was first published in 1988, was named in the Guinness Book of Records after it stayed on Sunday Times bestsellers list for more than four years. It sold 10 million copies and was translated into 40 different languages.